A lot of emotion has been released by the horrific threat of fracking which is facing much of England. I have seen this not just on the front line of the battle at Balcombe, and in meetings like the one in my home town this week when a new anti-fracking group was formed, but even in casual conversations on the subject over a cup of coffee or a pint of beer. People just can’t believe that the countryside they love could be reduced to industrialised wastelands, that their water supplies could be contaminated, their air and soil polluted, their peace shattered, even the darkness of the rural night destroyed by the flares of thousands of gas and oil wells across the fields, woodlands and Downs. There is also emotion around the role of the authorities in all this. How is it that these fracking companies are not only being allowed to do this, but even encouraged to do so by way of tax breaks? How is it that the police, supposedly protectors of the public, have been sent in to protect the polluters from that public? How is it that these individuals in uniform are willing to surrender that individuality, turn their back on all sense of right and wrong, in order to impose by sheer force the rule of greed? Of course, none of this is new. All over the world people are living in devastated environments, forced off their land by the power of corporations and the corrupt puppet governments they use to get their way. Even here in Sussex, fracking is not the only threat. Massive house-building programmes threaten to urbanise huge parts of the county, new roads are planned to service the requirements of business, a second runway is planned for Gatwick Airport – again at the demand of the same money interests. On top of the many physical effects of all this destruction (rebranded as “development”!) being lined up for us, there are serious and long-lasting psychological effects. Being surrounded by countryside is, quite simply, good for our state of mind and essential for our own inner development and insight, for our sense of who we are and how we are connected to the universe. Frithjof Schuon says as much when, in Gnosis: Divine Wisdom, he argues that higher forms of contemplation depend on an outer environment of beauty. We can see that inspiration in the mystic heights reached by Victorian writer Richard Jefferies*, who ended his days here in Sussex. Take this passage from The Story of My Heart, for instance, in which he describes a walk on the Downs: “Having drunk deeply of the heaven above and felt the most glorious beauty of the day, and remembering the old, old sea, which (as it seemed to me) was but yonder at the edge, I now became lost, and absorbed into the being or existence of the universe. Cut off still further from nature, and the spiritual union to the cosmos which it offers, what sort of people will we become? The “economic bonanza” future of concrete and chemicals being forced upon us by the capitalist mafia will reduce future generations to a condition of unmitigated misery. With no beauty to contemplate, no joys of nature to feed their souls, they will be left as bitter and as toxic as the air they will have to breathe. From there on, it can only ever be a spiralling descent into increasing dissatisfaction, alienation and disconnection from the primal pleasure of being alive in this world we inherited. I have no doubt that much of the emotion currently being triggered by the fracking nightmare is, in truth, an expression of a much deeper realisation – the realisation that we cannot go on this way. We have to do away with the taboo of all taboos and say that we can no longer allow ourselves to be led into the abyss by this endless pursuit of Progress. Gradually, more and more people are coming to understand that “economic growth” is neither necessary nor desirable for anyone but the crooks who profit from it. What do we value in life? Clean air, fresh water, good food, sunshine, health, friendship, the beauty of nature. What are we told we should value? Money, profit, greed, war, destruction, exploitation, cowed obedience to authority. So how do we find ourselves in a situation where a minority of selfish sociopaths have the power to impose their twisted death-cult vision of the future on the rest of us? On what does that power ultimately rest? Is it real or illusory? How much of it is in our own minds? We need to deepen our unity with nature and take on its timeless spontaneity and primordial freedom, so that we might shake off the tyranny of this sick industrial civilization and find our way back to health and life. * A Celebration of Richard Jefferies is being held by the Worthing Downlanders on Saturday August 10. Meet at entrance to Broadwater Cemetery, South Farm Road, Worthing, 2pm. Free for members, £5 to join on day. An email I received after posting the quotations from Jung the other day has given me some cause for thought. In that short blog update I referred to the ‘perennialist’ tradition and this, I now realise, needs some clarification. I had fondly imagined that the Anarchangels booklet explained more or less what it was and how it fitted in with anarchism, but on re-reading it, I am not so sure. I did attempt a more explicit explanation in my talk at the London Anarchist Bookfair in October, so I have gone back to those notes to try and provide the ideological context that is perhaps rather elusive in the pamphlet itself. One reason why Anarchangels is a little impressionistic is that I am horribly aware of the provisional nature of everything that I write. Having been immobilised for many years by what now looks like a very blinkered sense of certainty as to what I believed, or didn’t believe, my thoughts have recently been pouring out in all sorts of intellectual directions like floodwaters released by a breached dam. I know that anything I write today may not be what I would want to write tomorrow and thus do not want to set in stone any specific arrangement of ideas that happens to appeal to me at the moment. Thanks to some interesting correspondence in recent weeks, I have also become aware of others working in very much the same areas of contemplation, from whom I realise I have potentially much to learn. While I make no apologies for the personal nature of the road to philosophical exploration that I set out here and in the booklets (one can only really ever know something that one has discovered oneself), I should point out again that I claim no expertise (in anything! ), no particular credentials and certainly no merit in presenting ideas and connections between ideas that, inevitably, have already been examined, and in much greater depth, by so many others over the years. The starting point of my own foray into this particular forest of thought was a sense of negativity – or rather, the refusal of a sense of negativity. For a brief moment, I began to wonder if these people weren’t right. Were my conclusions about the state of the modern world really no more than manifestations of some kind of malevolent inner essence? Was I nothing more than a human black hole, sucking away other people’s vital energies by my overwhelming negativity? Fortunately, it did not take me long to realise that the answer was ‘no’. I knew that at the root of everything I possessed a love for life. Not necessarily my particular life, as it was then, but the life force itself. 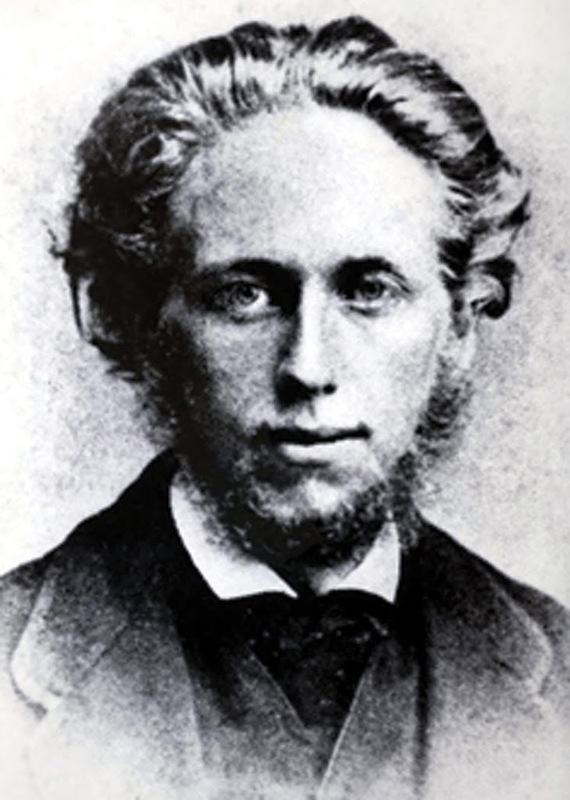 Was Richard Jefferies (1848-1887), that spiritual worshipper of eternal nature, not my long-time favourite writer? Did I not yearn for truth, authenticity, connection with the cosmos? That didn’t sound negative to me. Moving up from that foundation into the political realm, it struck me that the reason why I seemed to always be ‘anti’ everything was that I was following a powerful personal moral compass. If I think something is bad, it’s because it doesn’t match up to how I think things should be; it doesn’t correspond to my values. There’s nothing negative about feeling animosity towards bankers or arms dealers if you strongly feel it’s wrong to rip people off or make money out of killing them. It’s not negative to hate advertising and shopping if you can see that consumerist craving is an addiction that eats away at people’s souls. It’s not negative to hate the whole capitalist system and to want it to fall apart as soon as possible if you know that it’s destroying the planet and you happen to value the planet you live on. One of the main characteristics of any anarchist, I would say, is having this strong sense of right and wrong, of being firmly committed to a set of values – even if those values are the opposite of those laid down by the prevailing culture. And, I realised, the alternative values we espouse didn’t emerge out of thin air, or a workshop at the 1888 London Anarchist Bookfair. Instead, they have arisen from thousands of years of human culture. A love of nature, an aversion to egotism, to selfishness, to materialism, to greed, to murder – these are all traditional values, which surface in cultures and religions all over the world. Of course, there is an apparent contradiction here, as conventional thinking tends to have it that ‘traditional values’ are something conservative or right-wing . But this is just a façade, designed to deceive. If you strip down the generally held notion of ‘tradition’, particularly in this country, all you will find is a lot of pompous flag-waving, adherence to self-serving authoritarian religious organisations and nostalgia for some period of the recent past – You’ve Never Had It So Good, the Dunkirk Spirit, Victorian Family Values and so on. And behind all this window dressing, you will find that these modern ‘traditionalists’ in fact believe in an amoral world, of every man or woman for themself, of pragmatism and short-term material advantage. The quest for real values takes us much deeper, into the pursuit of the ancient wisdom that can be found at the heart of the world’s religions, no matter how corrupted their current forms have become. Perennialism is a search for these hidden values in every corner of human culture – such as in Hindusim, Sufi Islam, Buddhism, Taoism, Jewish Kabala, alchemy, indigenous spirituality or the gnostic scriptures of early Christianity. It sees there a universal human philosophy which reaches back to time immemorial but from which we in the modern West have now been completely cut off. At the heart of it all is the sense of oneness, of connection to the organic Whole, which I described in Antibodies. Sometimes this Whole is described using the word ‘God’ and sometimes it isn’t. Sometimes people who worship ‘God’ mean this all-inclusive Whole and sometimes they don’t. I personally stumbled across perennialism when a helpful friend pointed out to me a copy of René Guénon’s The Crisis of the Modern World in a secondhand bookshop here in Worthing. I didn’t buy it on the spot, as I seemed a bit expensive for its size, but awoke the next morning filled with the necessity of returning to the shop and bringing it home to read. Some internet surfing on Guénon’s ideas and connections subsequently led me to a book by Mark Sedgwick called Against the Modern World – Traditionalism and the Secret Intellectual History of the Twentieth Century. As the second part of title perhaps suggests, this can be a little sensationalist and over-egged at times and occasionally constructs some rather desperate ‘connections’ between completely disparate thinkers. But, for all its faults, it does provide some useful information about the development of the perennialist ‘movement’ which I can use to further my explanation. According to Sedgwick, perennialism was originated by 15thcentury Italian Renaissance thinker Marsilio Ficino (1433-1499), who suggested this single perennial, or primordial, origin behind all religions which had since diversified into apparently separate forms. The philosophy became popular for a couple of hundred years, then drifted out of favour in the early 17th century to be revived in a slightly different form in the 19th and early 20thcentury. 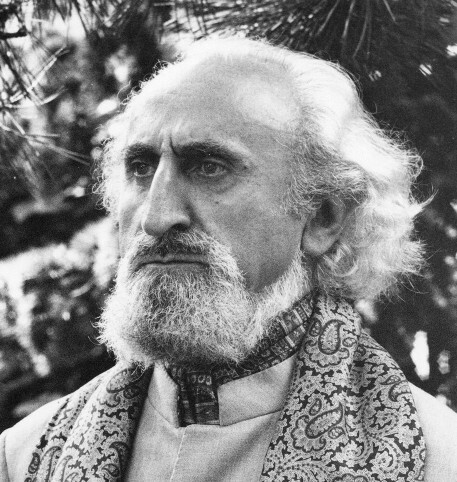 It was popularised by Guénon (1886-1951), who sought universal truth first in Hinduism and then, when he found it difficult to become a Hindu, in Sufi Islam. He moved from France to Egypt, where he married an Egyptian women, had children and lived out the rest of his life. 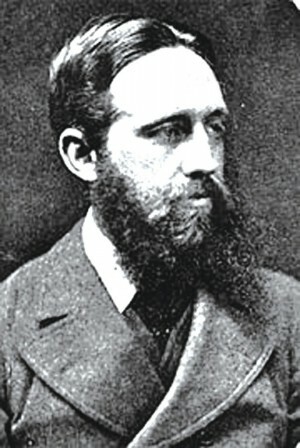 Guénon himself rejected the political level of action and was certainly no anarchist, but Sedgwick’s book reveals that anarchists did play a key role in the early development of perennialism. 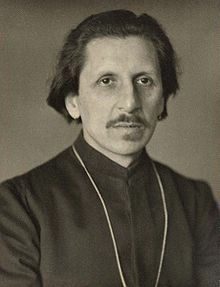 There was Ananda Coomaraswamy (1887-1947), for instance, who was a keen student of the work of both William Blake and William Morris. Alan Antliff writes: “The anarchism of Coomaraswamy represents a compelling instance of cross-cultural intermingling in which a European critique of industrial capitalism founded on the arts-and-crafts was turned to anti-colonial ends in a campaign against Eurocentric cultural imperialism and its material corollary, industrial capitalism.” (From the essay Revolutionary Seer for Post-Industrial Age, included in I Am Not A Man, I Am Dynamite – Friedrich Nietzsche and The Anarchist Tradition, ed John Moore). 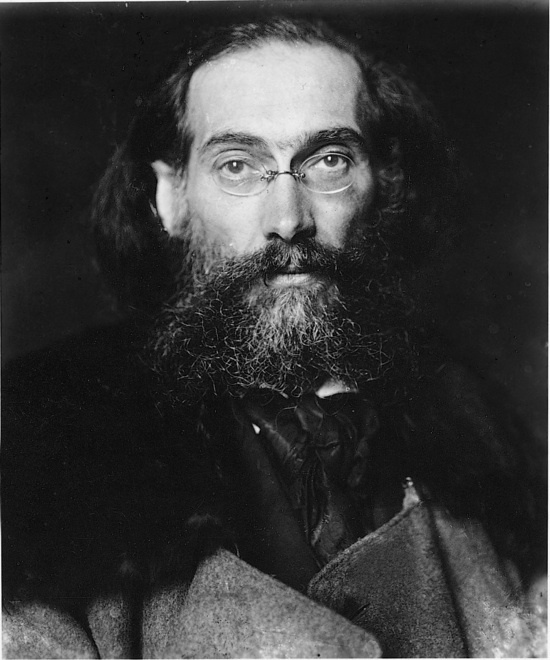 Another key figure was Swedish artist Ivan Aguéli (1869-1917) who, with his lover and anarchist comrade Marie Huot, was involved in the perennialist and animal rights movements. His particular claim to fame is that in 1900 he shot a matador in a protest against the proposed introduction of Spanish-style fatal bullfighting to France. Aguéli also lived in Cairo for a while and worked with another anarchist by the name of Enrico Insabato. Not only were the two movements – perennialism and anarchism – intertwined at that stage, but there is a broader overlap of ideas as well. Kropotkin’s admiration for the values of the Middle Ages is echoed by Guénon and even Bakunin’s idea of Natural Law is not so far away from the perennialists’ concept of fundamental values (despite his fervent atheism). Perennialism particularly chimes with the thinking of the anarchist Gustav Landauer (1870-1919), who explored the idea of a universal psyche and wrote: “We have been satisfied until now to transform the universe into the human spirit, or better, into the human intellect; let us now transform ourselves into the universal spirit”. There is also a strong connection between perennialism and the growth of the modern environmentalist movement (which, of course, in turn, feeds back into contemporary anarchism). 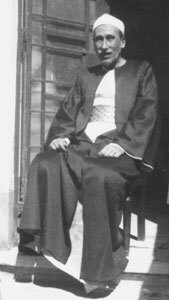 Frithjof Schuon (1907-1998), another of Guénon’s disciples, left Europe to live in the USA where he was adopted into the Sioux tribe, was heavily involved in the promotion of Native American studies in the USA and influenced American ‘New Age’ thinking. Perennialism also has the merit of being a profoundly internationalist philosophy. By appreciating the uniting truth behind different faiths, it overcomes religious divides by rising to a higher level. Like anarchism, it is thus totally irreconcilable with nationalism. As Guénon himself said: “All nationalism is essentially opposed to the traditional outlook”. I cannot avoid the fact, however, that perennialist philosophy is sometimes given a bad name by association with the fascist writer Julius Evola (1898-1974), whose elitist and militarist ‘Traditionalism’ was a bastardised offshoot from the movement. He really does not sit easily with the perennialist tradition. The anti-industrialist ethic is at the root of Guénon’s, Coomaraswamy’s and Schuon’s philosphy, and yet Evola was happy to hob-nob with right-wing German industrialists and glorifying the conveyor-belt mass slaughter of 20th century warfare. 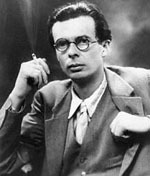 Aldous Huxley (1894-1963), in his book The Perennial Philosophy, explains that fascist and other totalitarian ideas are in fact the complete opposite of perennialism and the values and state of mind it promotes. This same contradiction does not exist between the perennial philosophy and anarchy, as we have seen. So a combination of the two, an anarcho-perennialism (a specifically anti-fascist anarcho-perennialism, to finally lay to rest the malevolent ghost of Evola) is not so much a case of welding two traditions together as of rejoining two halves of broken ideological bone. This theoretical healing can, I believe, restore depth and strength to a contemporary anarchism that sometimes seems a little sterile and superficial in comparison with its philosophical heyday 100 years or more ago. The self-discipline of spiritual focus is also of enormous benefit to all human beings, among whom anarchists can, of course, be numbered. The traditional alchemical inner process of self-purification, dissolution into the Whole and then condensation into the material plane is an ideal way for any activist to rid themselves of the constraints of their ego and return to the ‘real world’ refreshed and ready to act out their part in our collective history, unafraid even of death. This is the very process I described in Antibodies without fully realising its antiquity. I will be giving a talk on the philosophy of Richard Jefferies as part of a special day being held by local group the Worthing Downlanders. The Victorian poet-naturalist, quoted in ‘Antibodies’, has been a great inspiration to me for many years and happens to be buried here in Worthing. His evocation of the downlands, and how he found there a spiritual connection to the universe and time past and fuure, is simply unrivalled and he deserves to be far better known. The event starts at 2pm on Saturday August 14 at Broadwater Parish Rooms, Broadwater Street West, Broadwater, Worthing. See www.worthingdownlanders.org uk. I think the talk at the Worthing Alliance meeting went well. There is a report filed here.